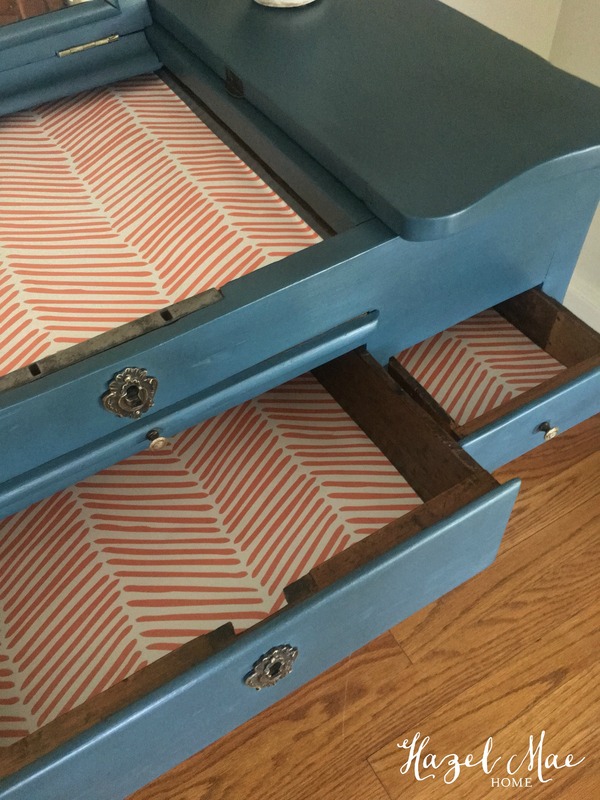 Do you remember the beautiful twin beds I showed you last week? 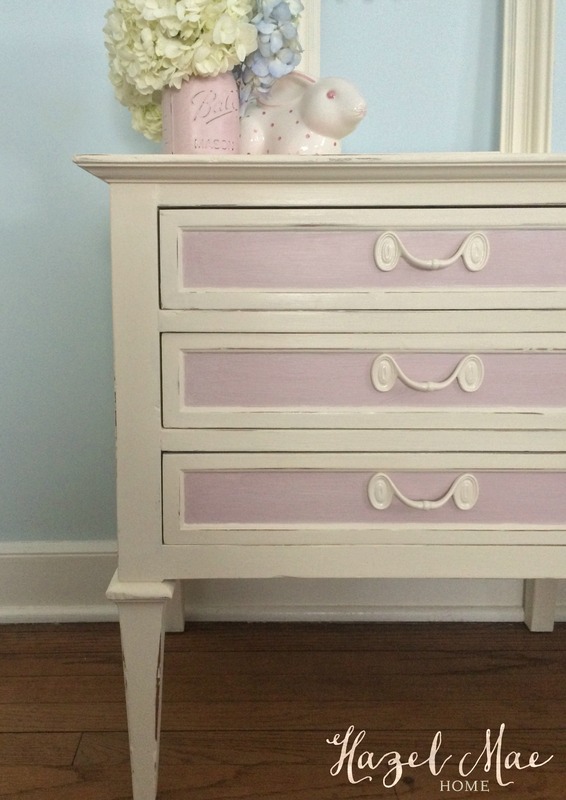 Well, Amy also had a great little nightstand that she knew would work perfectly between her daughters’ beds. 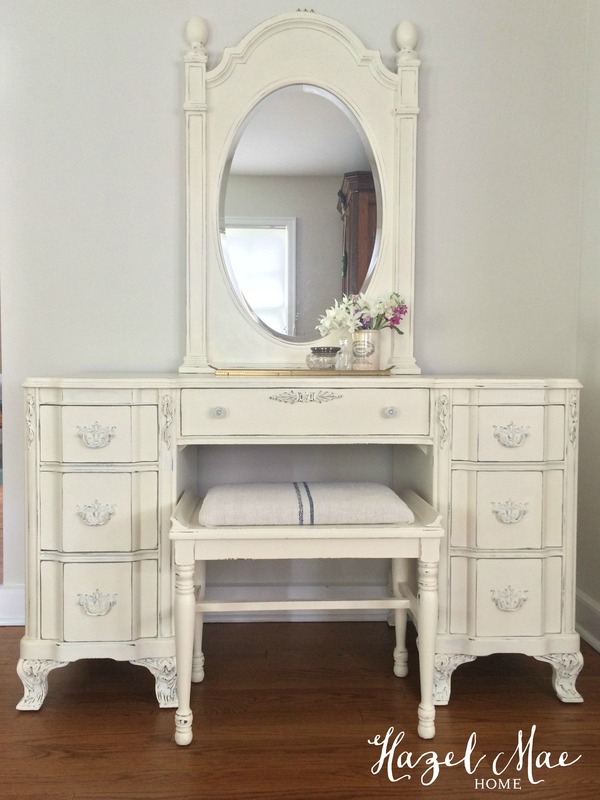 It had been painted white years ago, but definitely needed to be refreshed. 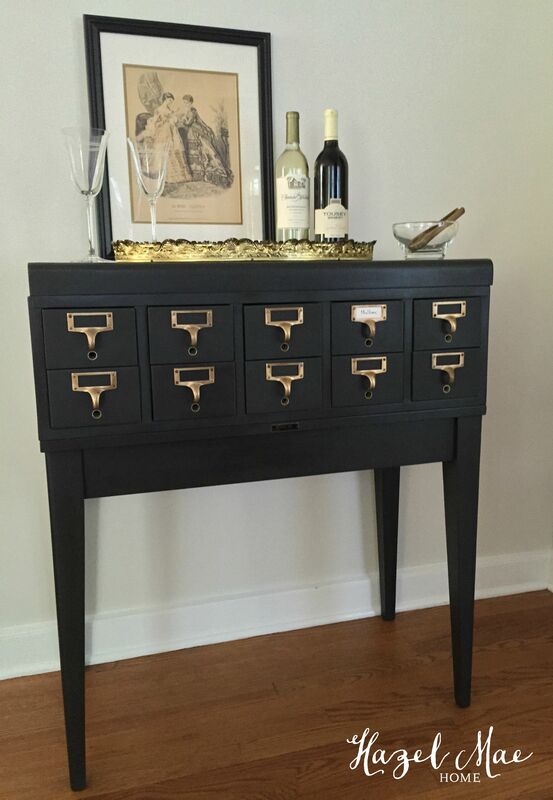 As I always do, I started by cleaning the furniture with mineral spirits. 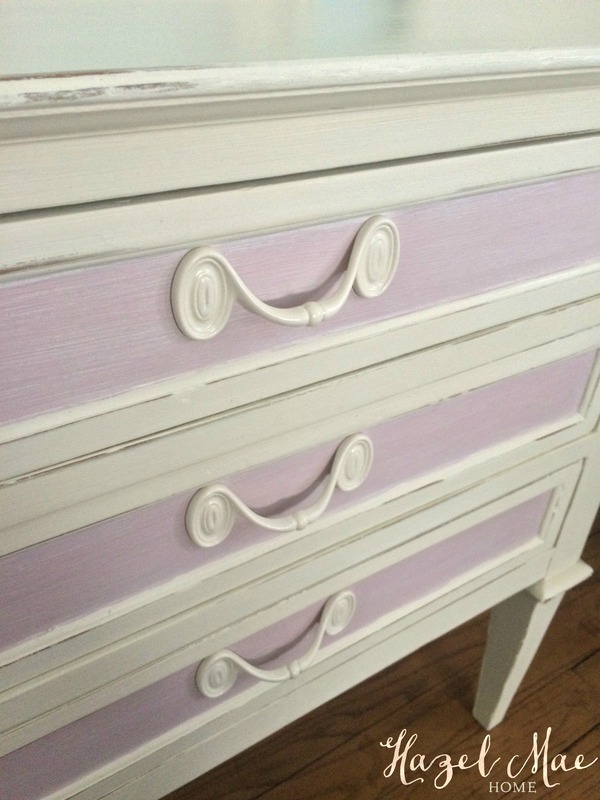 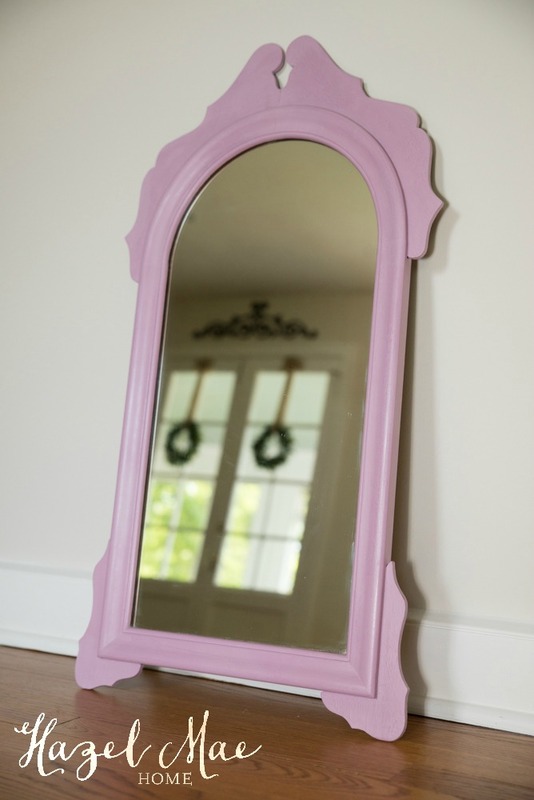 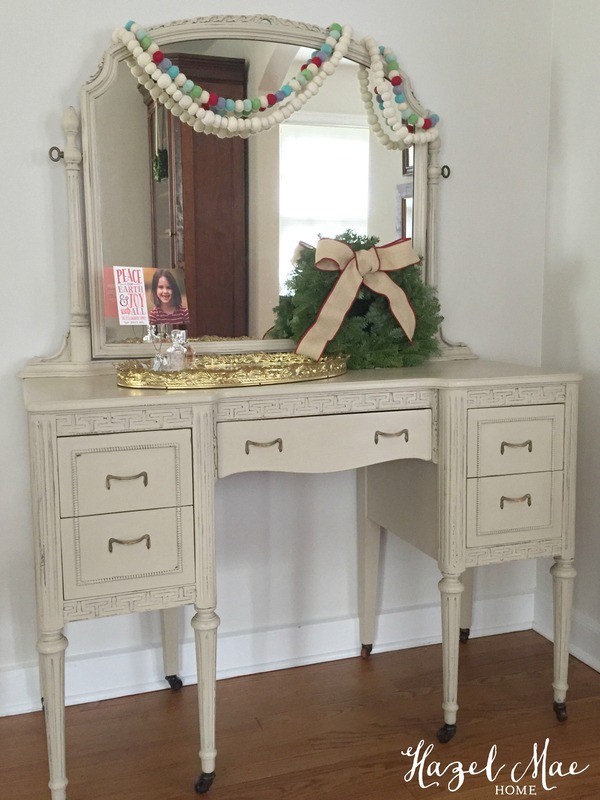 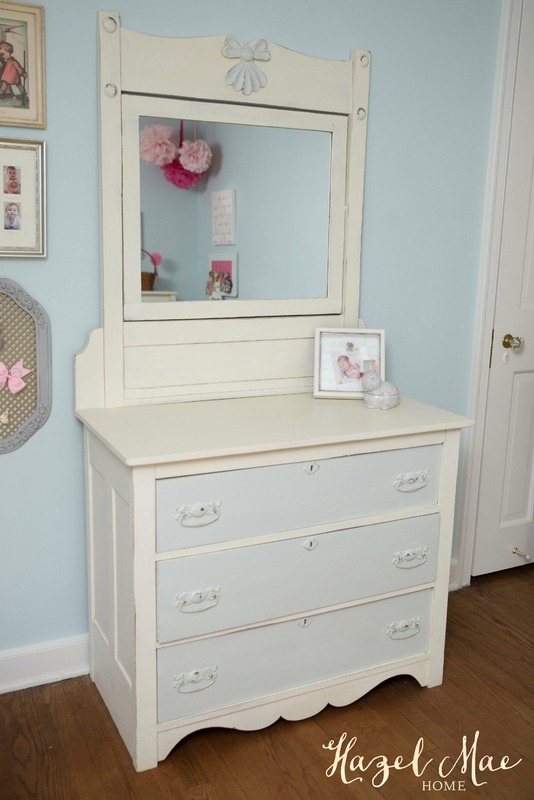 I painted several coats of Annie Sloan Old White on the body and Antoinette pink on the drawer fronts. 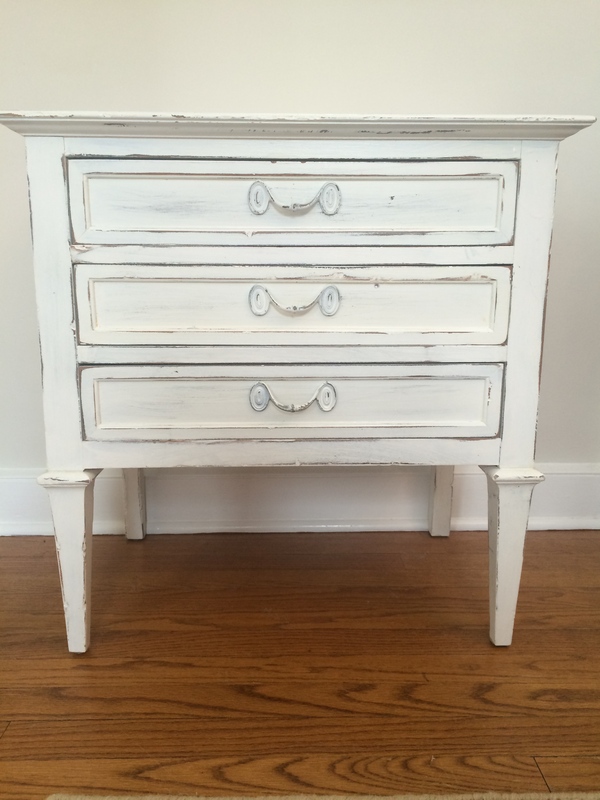 I distressed the edges and waxed everything with Annie Sloan Clear Wax. 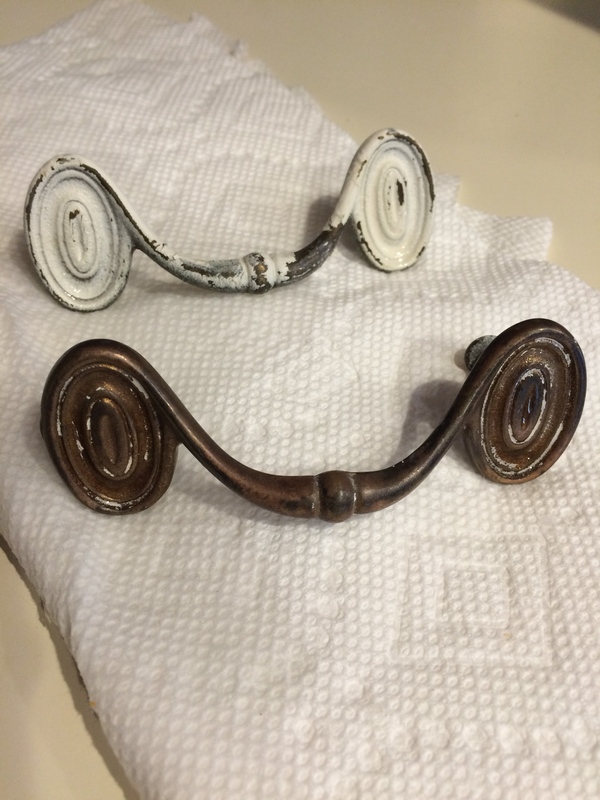 Did you know that you can get old paint off hardware by soaking them in a crockpot? 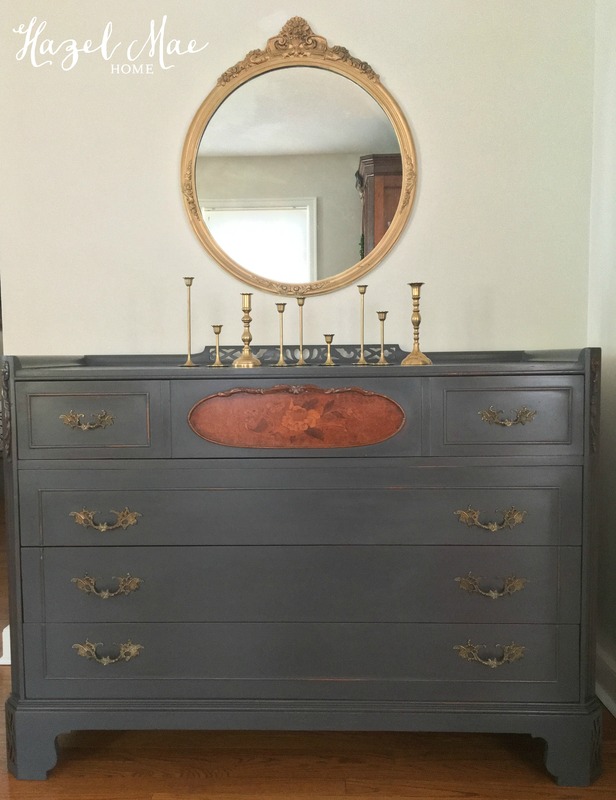 It still takes some scrubbing but the old paint comes off pretty easily. 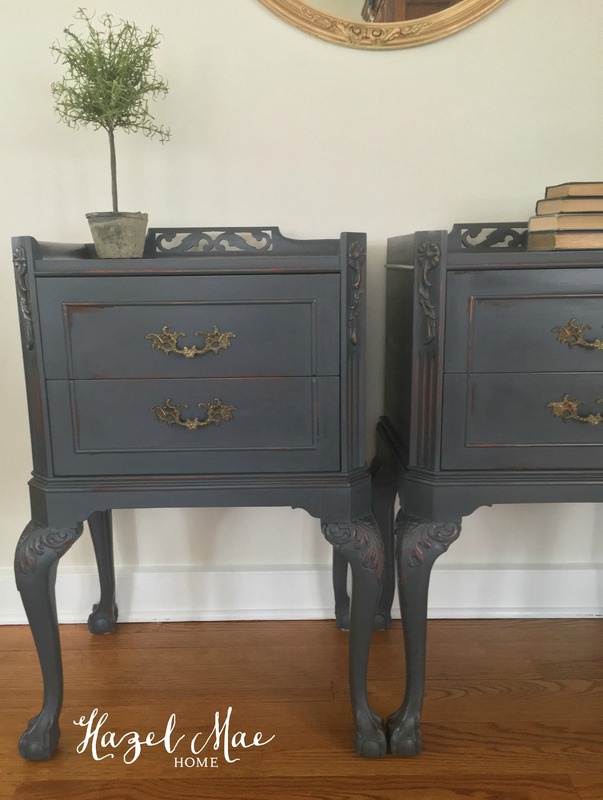 Having clean hardware allowed me to repaint them easily. 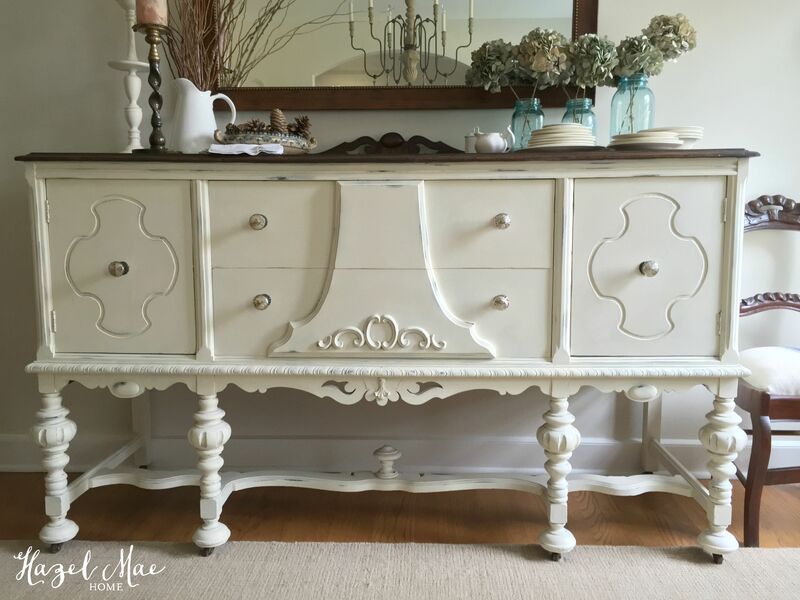 This time I used Rustoleum Heirloom White spray paint. 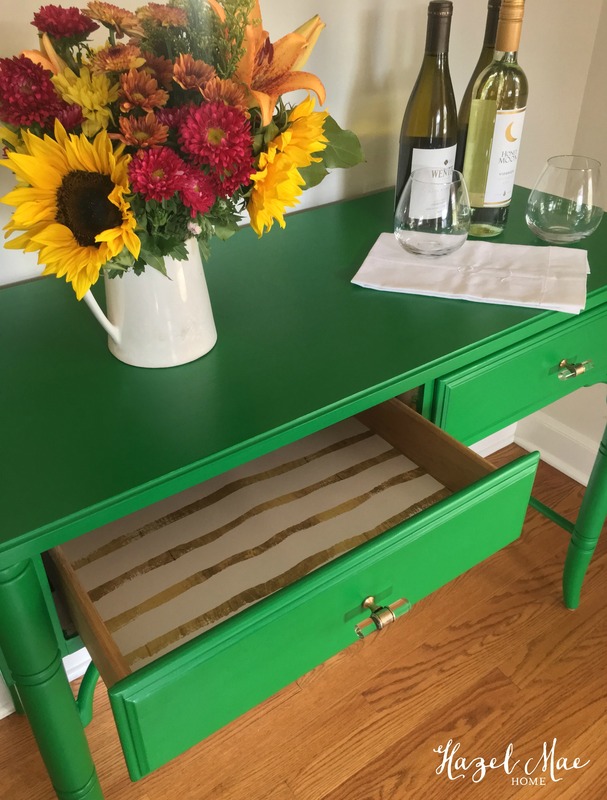 I finished the project off with some sweet paper to line the drawers. 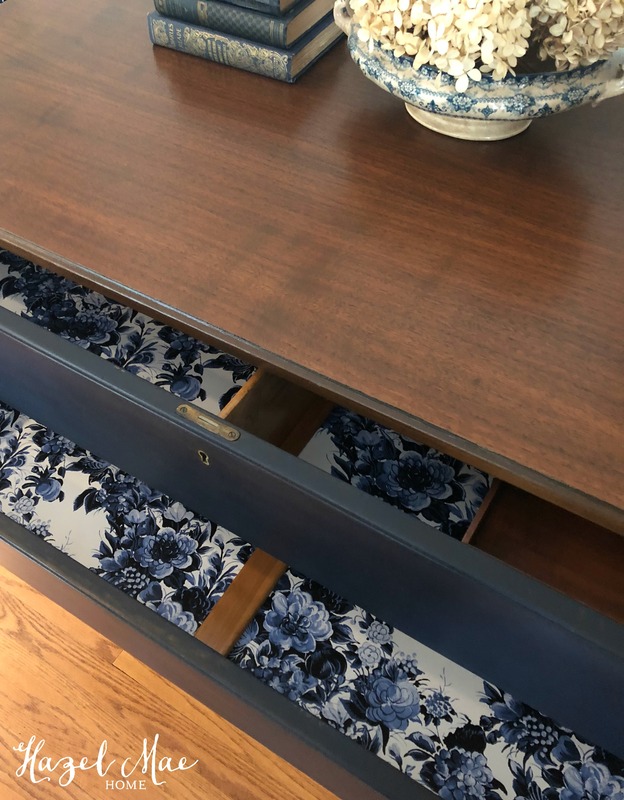 I love having a happy surprise in drawers! 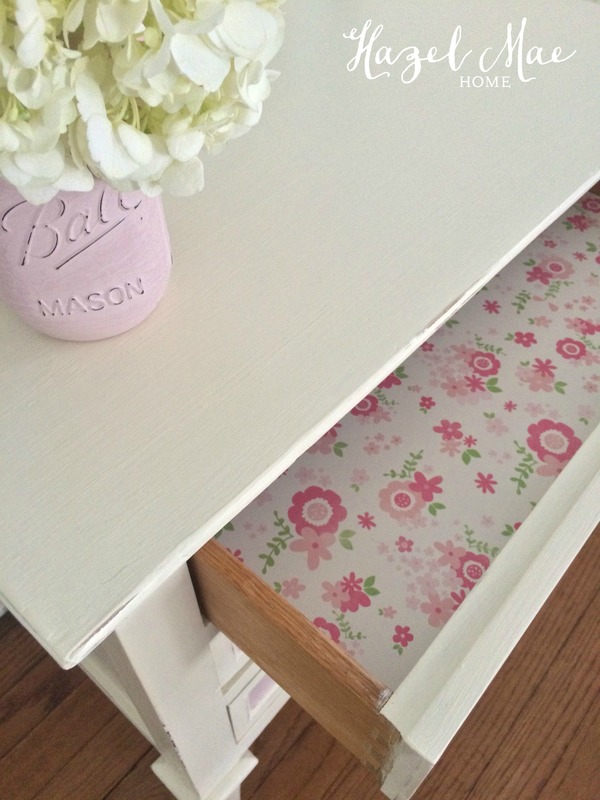 You will also see that I painted a mason jar in the same Antoinette pink. 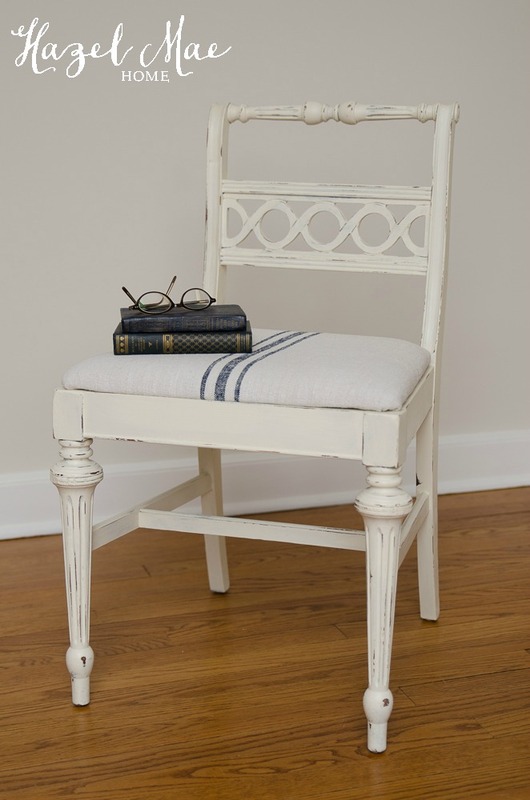 I know the mason jar trend might be on it’s way out, but I still do love them dearly – especially my vintage blue ones! 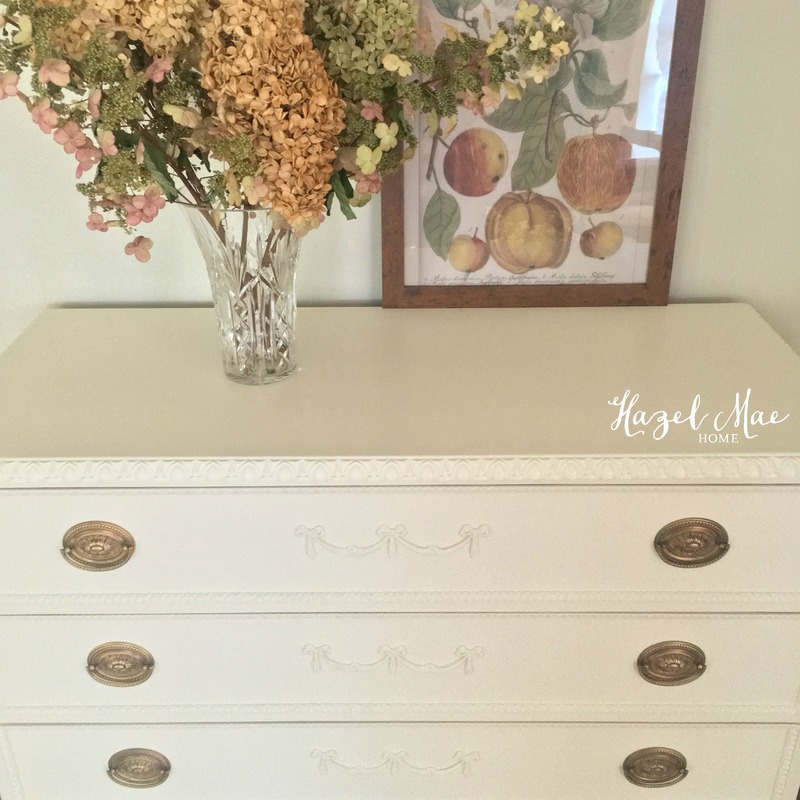 I now have a few in different colors to trade out flowers throughout my home. 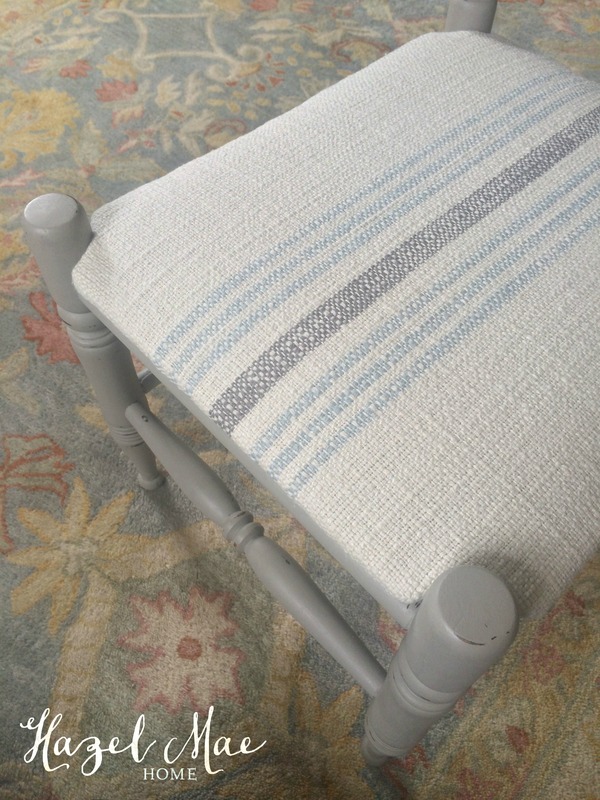 C’mon Spring! 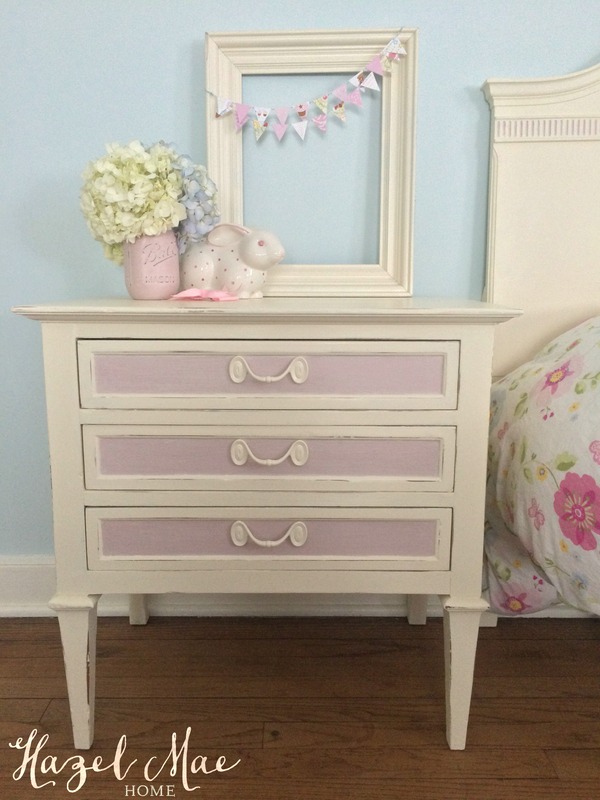 I think Amy’s daughters will enjoy filling this nightstand with all the treasures that little girls have! 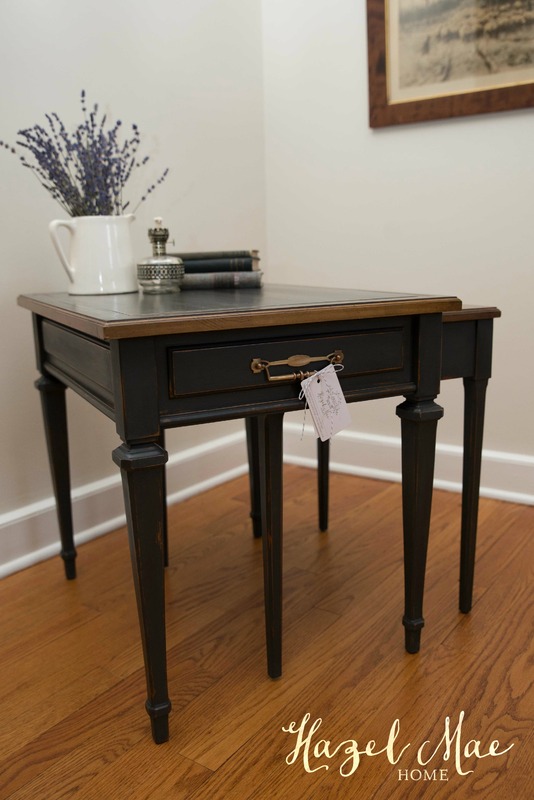 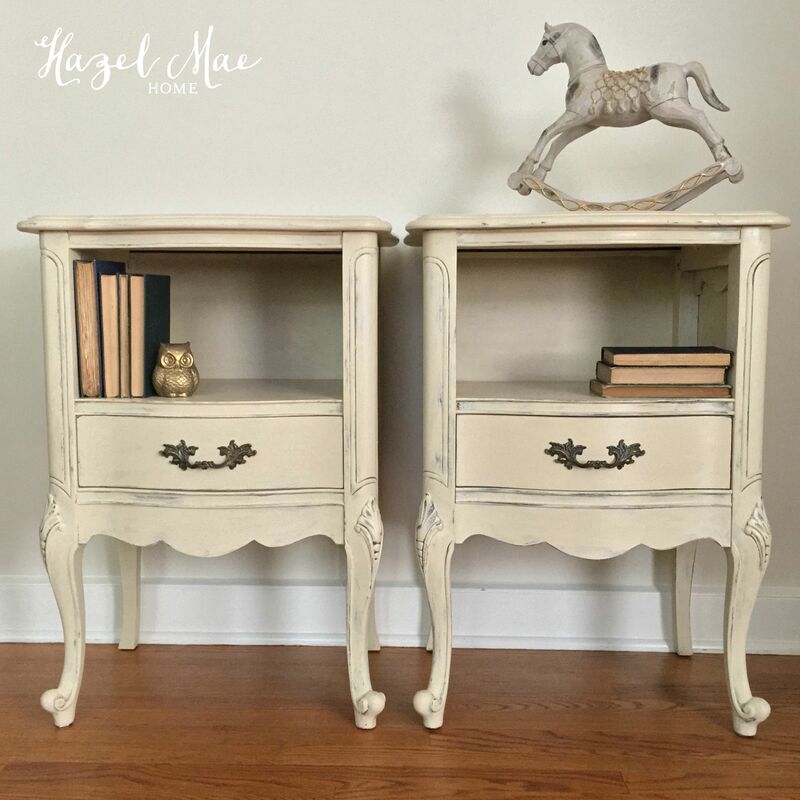 Did you see the twin beds that go with this nightstand? 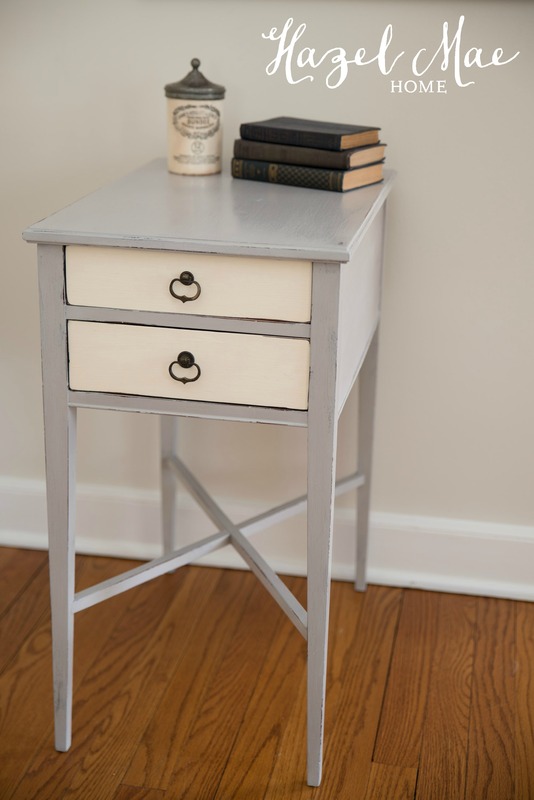 Or check out this other nightstand I painted last year! 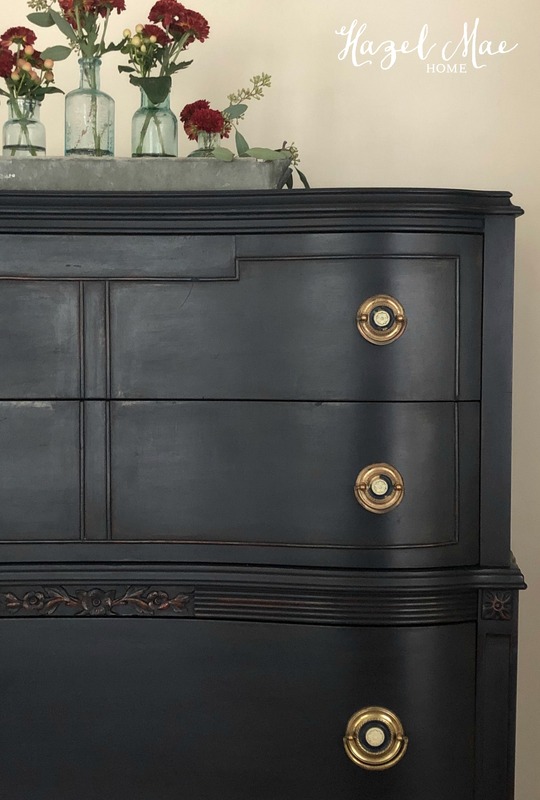 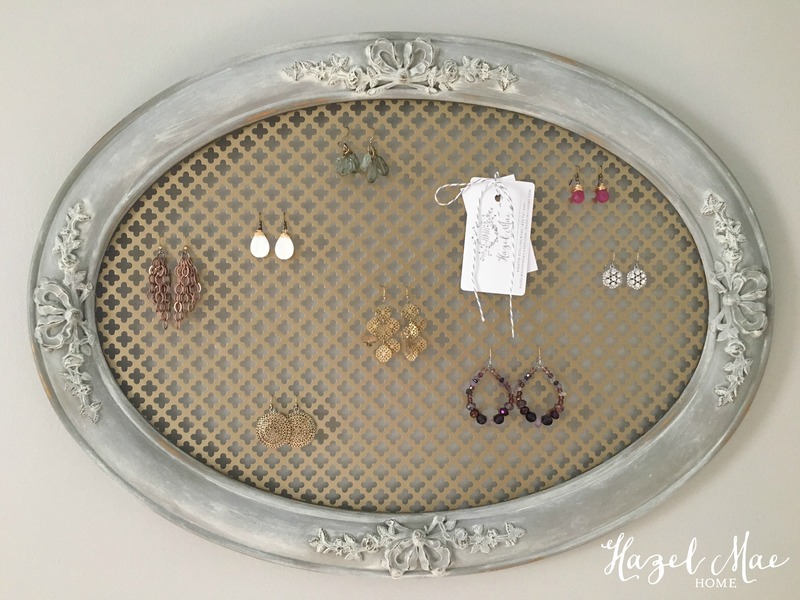 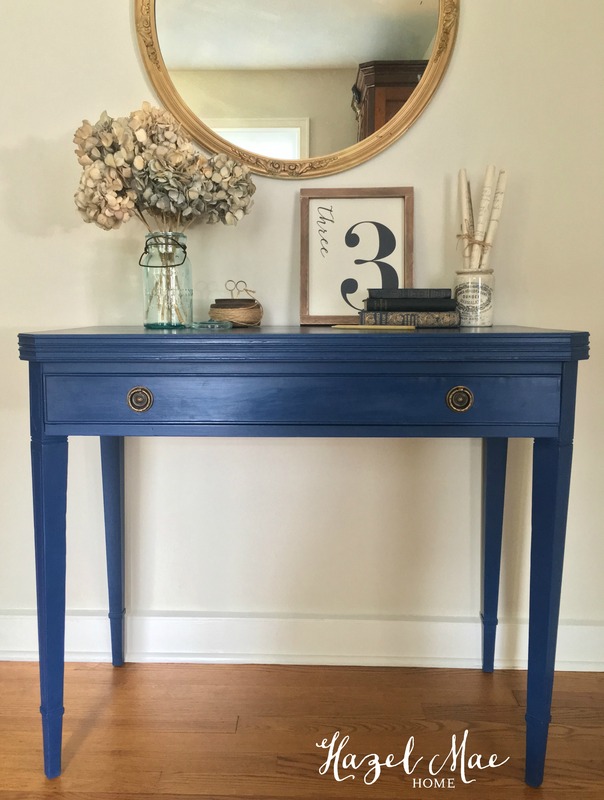 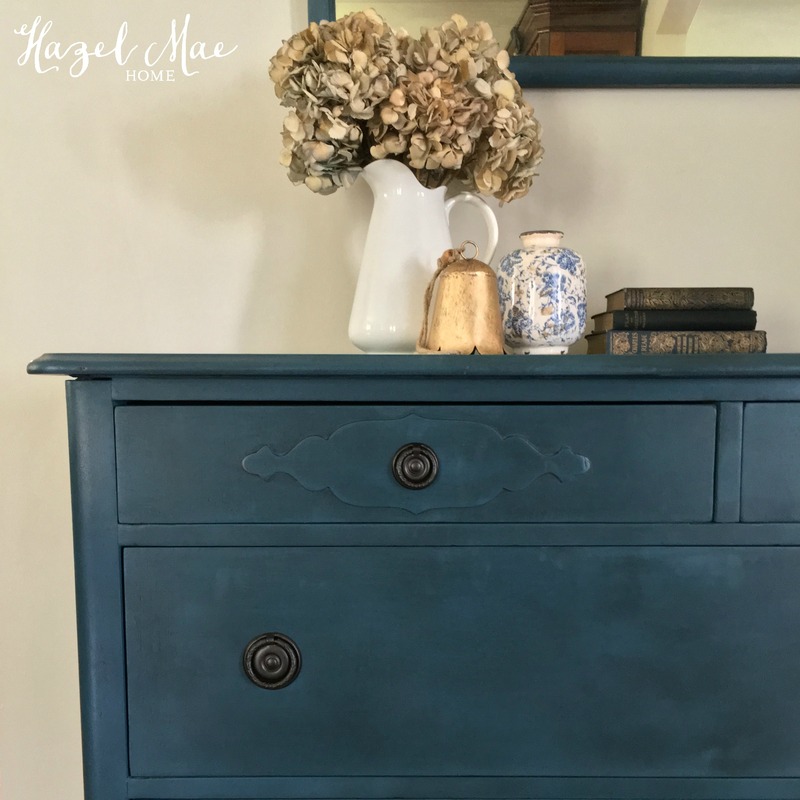 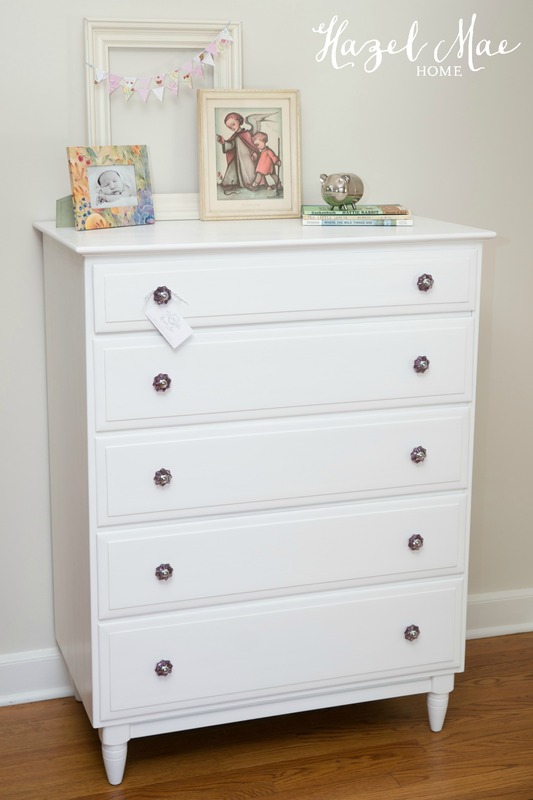 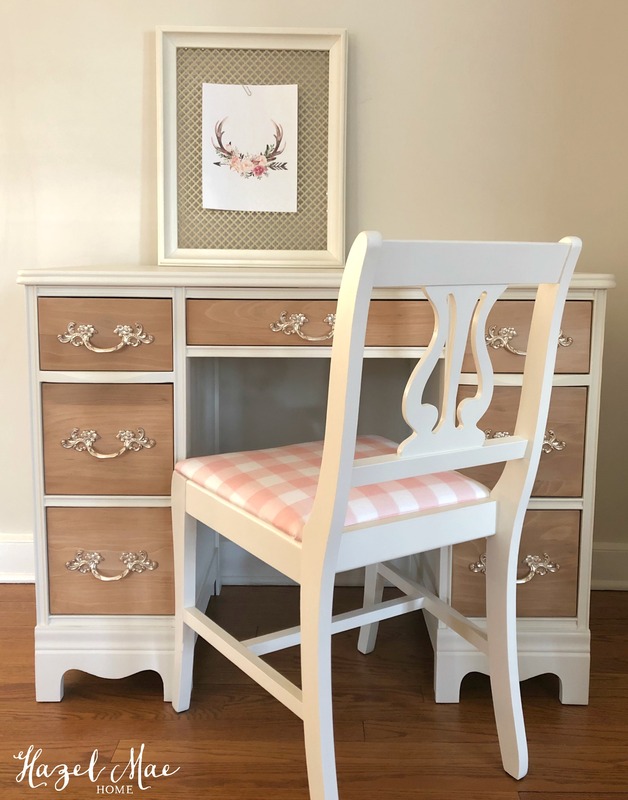 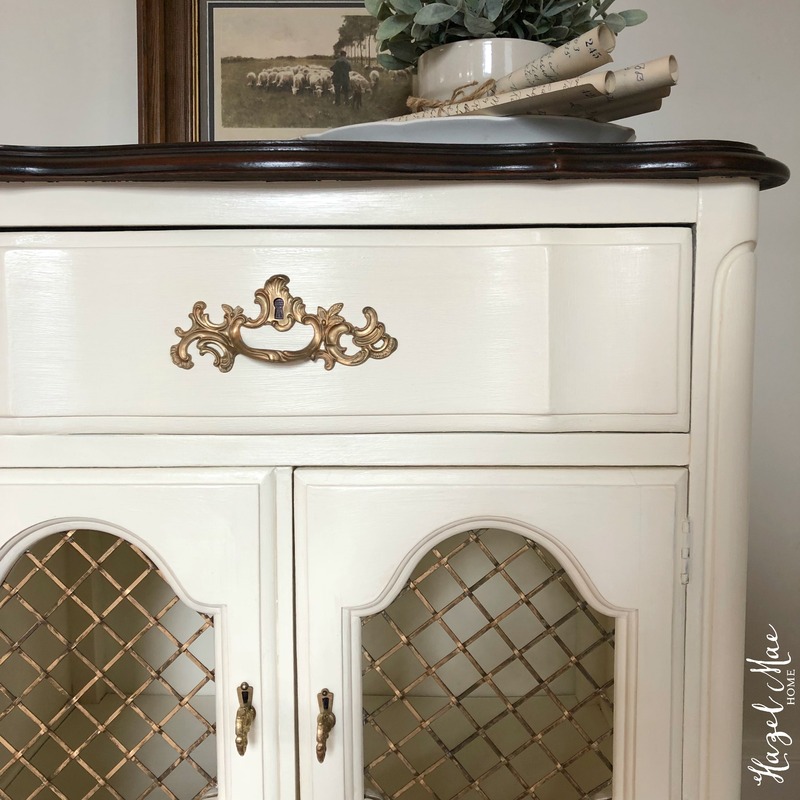 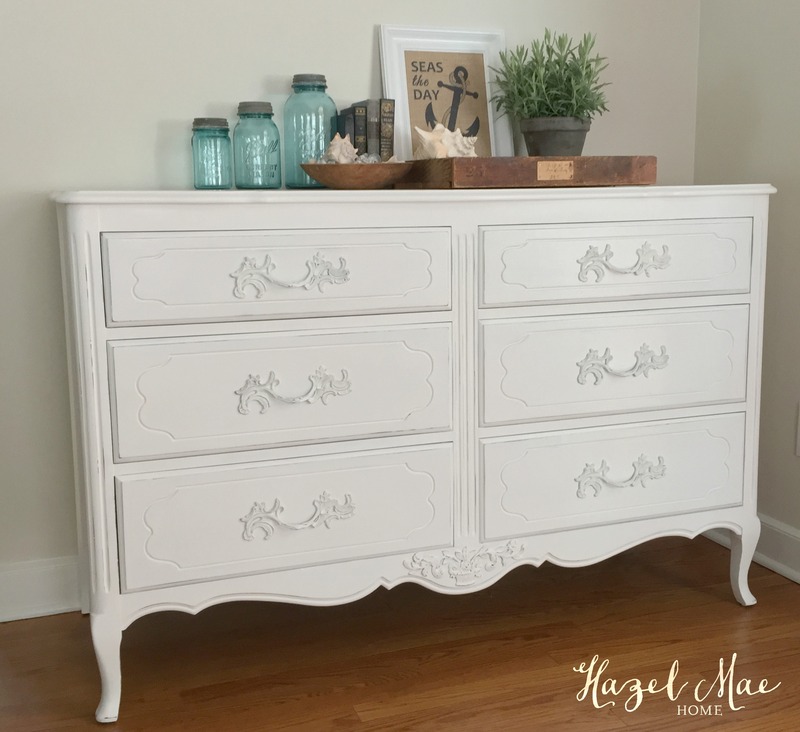 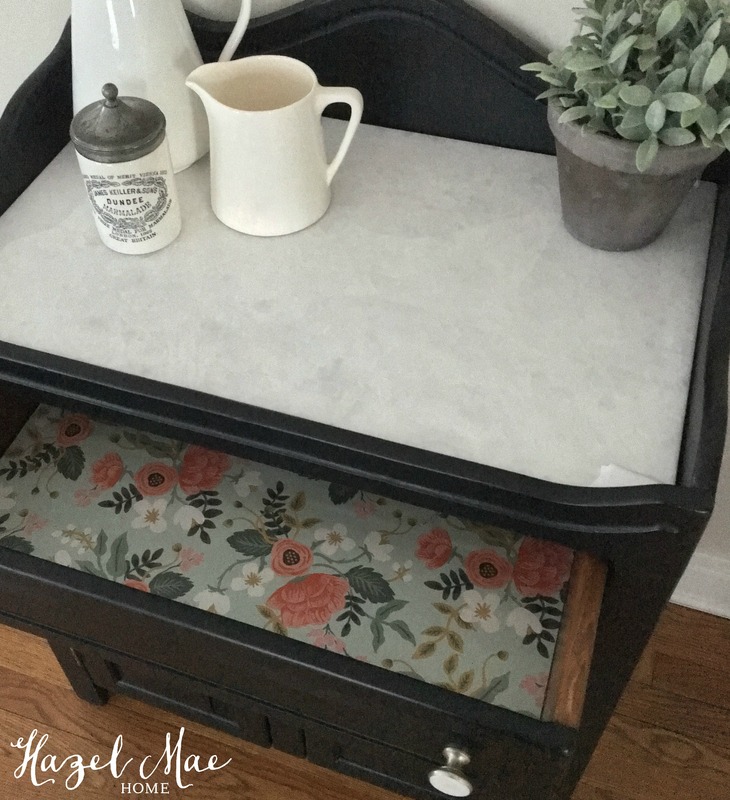 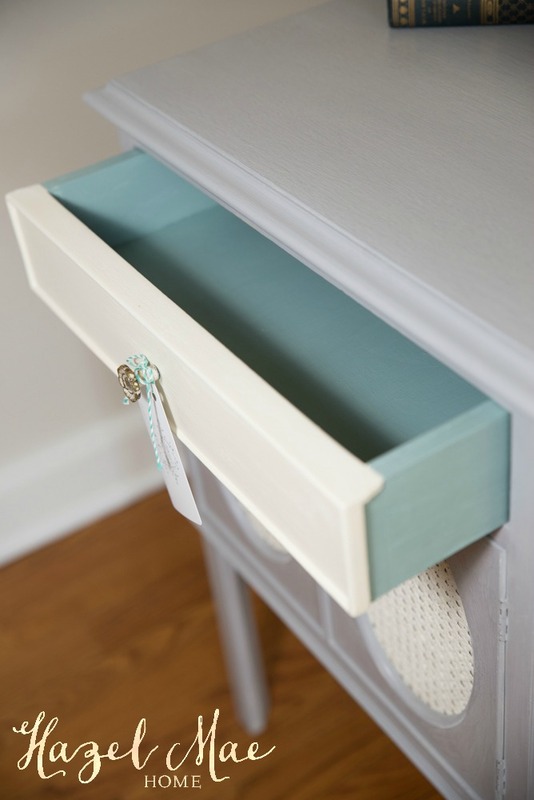 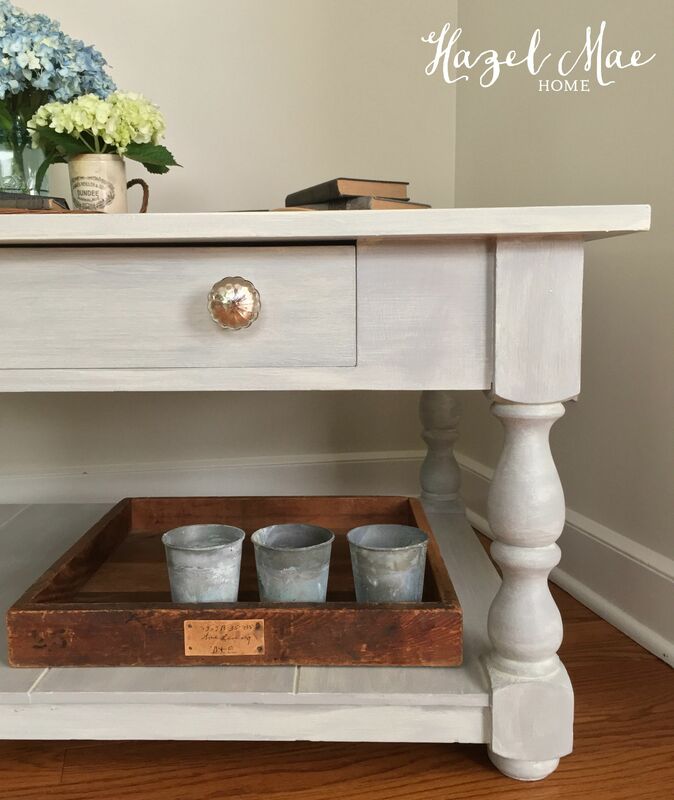 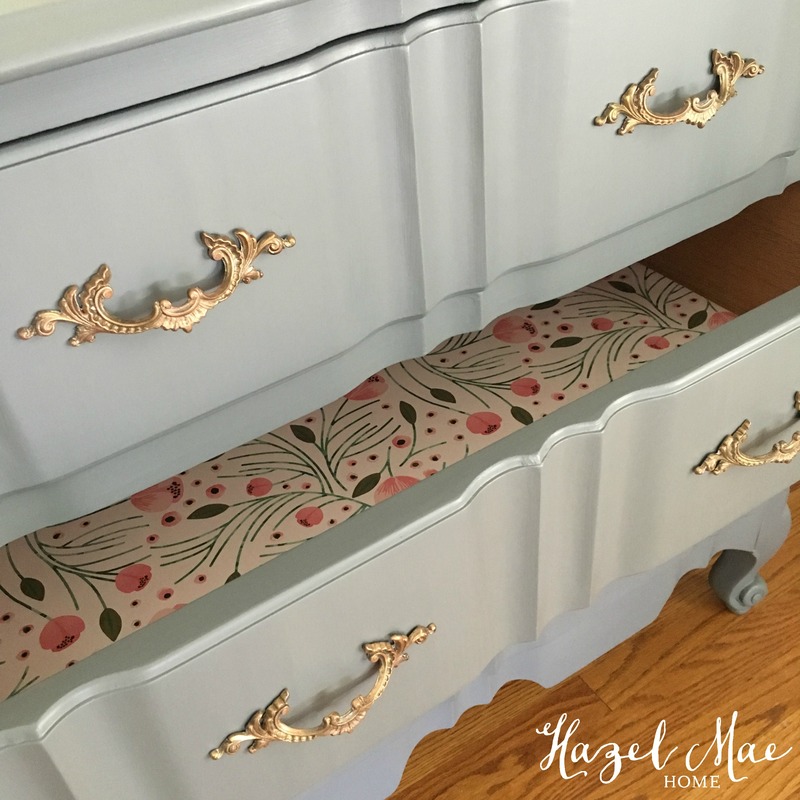 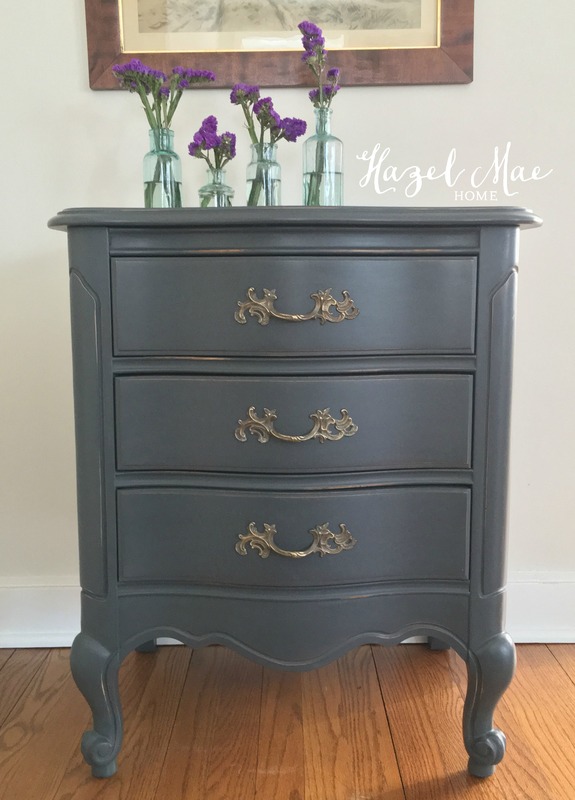 Linked this post to Miss Mustard Seed Furniture Feature Friday and The Painted Drawer Inspiration Friday and Finding Silver Pennies Sunday Link Party. 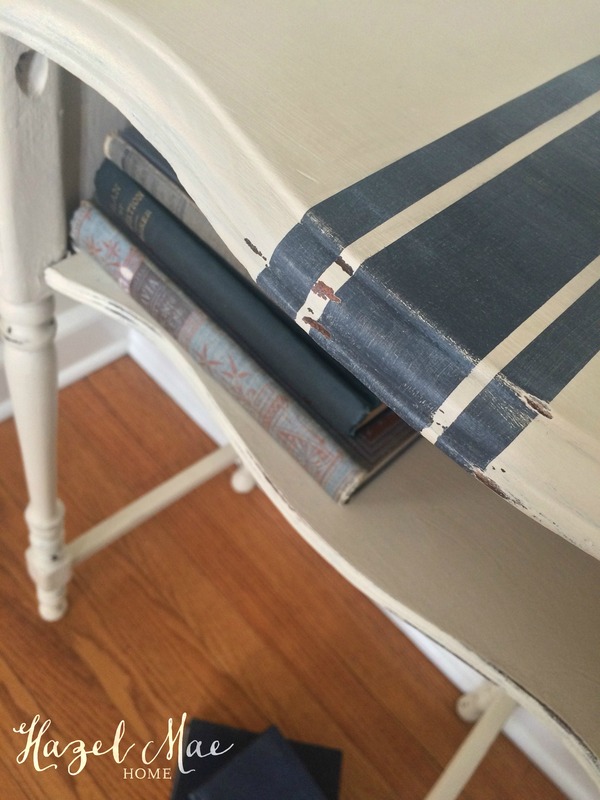 Be sure to check out all three amazing blogs! 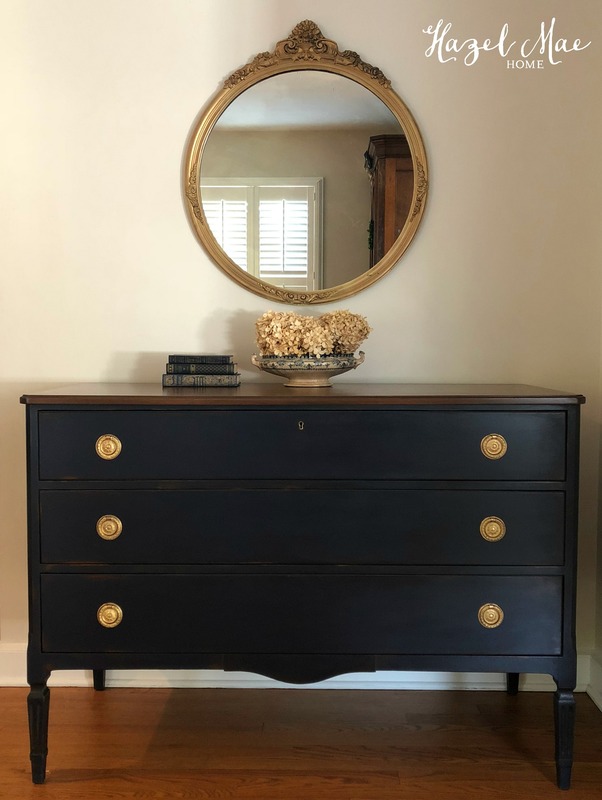 I couldn’t love this piece… and this post any more. 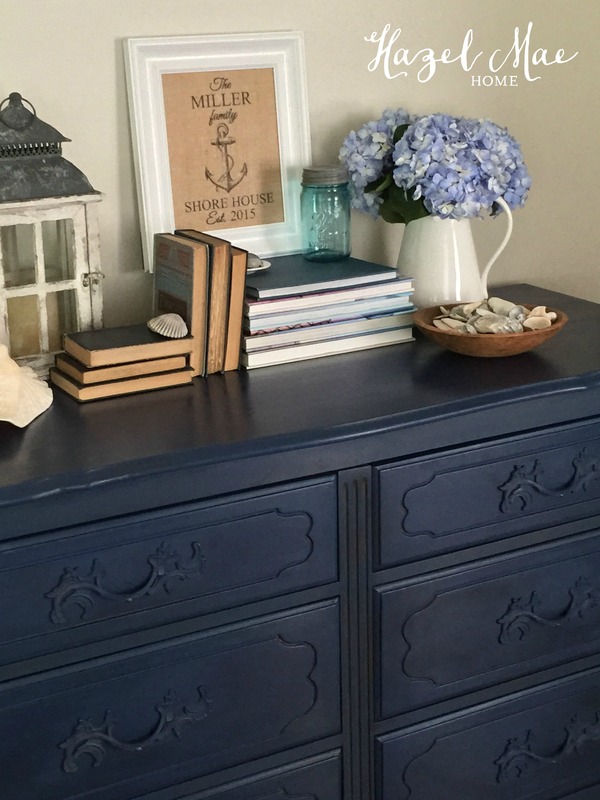 You know I love the Mason jar + hydrangea combo, too. 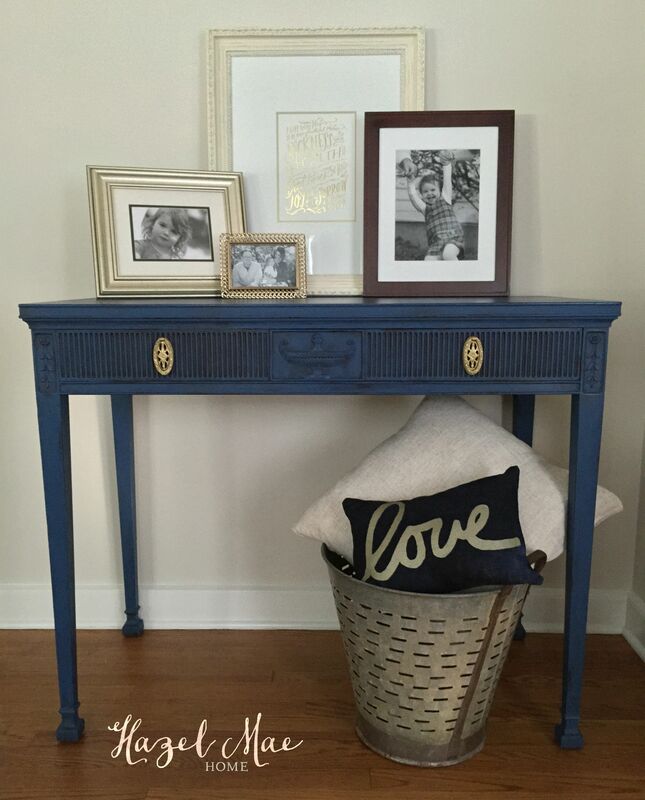 And the set against the blue wall… it’s just gorgeous!